After sold-out performances and five-star reviews at Fringe 2016, 2017 and 2018, our performers are excited to return to Edinburgh with a new line-up of songs! 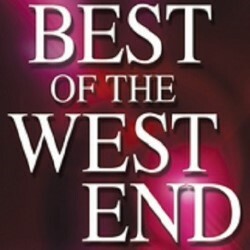 Featuring world-class voices and breathtaking harmonies, these professional performers showcase the very best from the West End. If you love musicals, you'll love this show! ‘Another triumph for American Performing Arts International... deserved sold-out audiences’ (BroadwayBaby.com). 'Once again their show is a pure joy to watch and listen to... all of the songs were superb' ***** (SouthsideAdvertiser.biz).